As someone who puts a good portion of my annual income toward my addiction to super-blonde highlights, you can imagine my horror when a colorist divulged that another one of my addictions (hair oils) wasn't doing my freshly lightened strands any favors. Huh? I thought to myself. How could a product claiming to heal dehydrated ends, revive lackluster tone, and basically gift my hair with Pantene-commercial allure possibly be a disservice? If you fast-forward, I eventually learned that it didn't have as much to do with product type as it did with formulation—in other words, a few of my then-beloved hair oils (which shall go unnamed) featured rich amber and golden-hued oils that were actually having a rather disturbing effect on my buttery blonde locks. The problem: They were imparting a dark, brassy shade especially near my ends where I had concentrated my smoothing efforts over the months. So clarifying shampoo in one hand and a few new clear oils in the other, I began testing out new formulas. So what's the main takeaway here? If you have lighter strands (and wish to keep them light), it's far more strategic to opt for an ultra-light or 100% clear hair oil. And luckily, the blondes of team Byrdie have tried their fair share. Ahead are seven of the best hair oils for blondes. (And yes, we're also convinced that we've had more fun since using them.) Keep reading! Her "forever" oil for blonde hair, it only took Hallie a second to respond when I asked for her go-to hair oil. (One quick word: The actual oil is clear and the bottle is tinted yellow—a tad deceiving at first!) 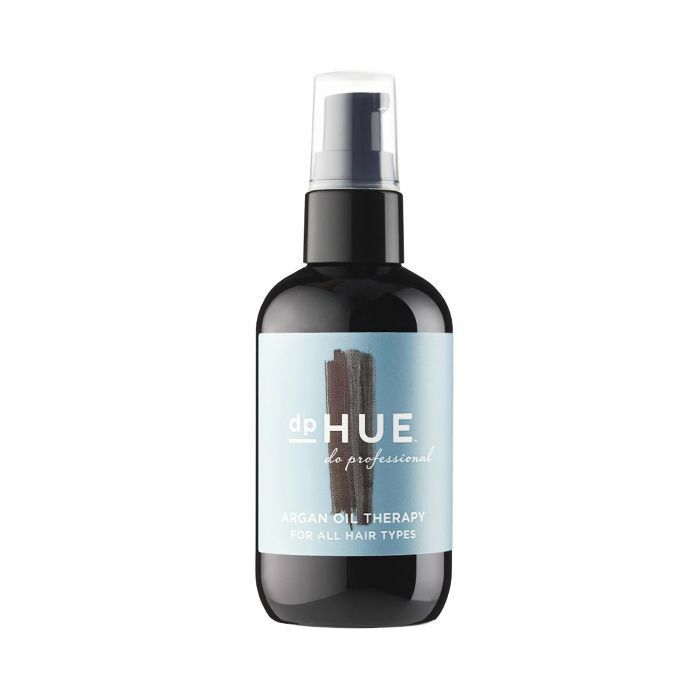 A great option for all hair types (it will quench every texture from thick and curly to fine and thin), this camellia oil–based iteration is a luxe solution if you're looking for hydration, a full day's worth of UV protection, and a patent finish. Plus, you can basically use it however you like: from a moisturizing pre-shampoo treatment to a nourishing overnight fix for dry, color-treated strands. According to Victoria—team Byrdie's resident hair muse—this all-natural, palo santo–scented hair oil is the only thing she uses, applying it diligently to her lightened ends several times a week. 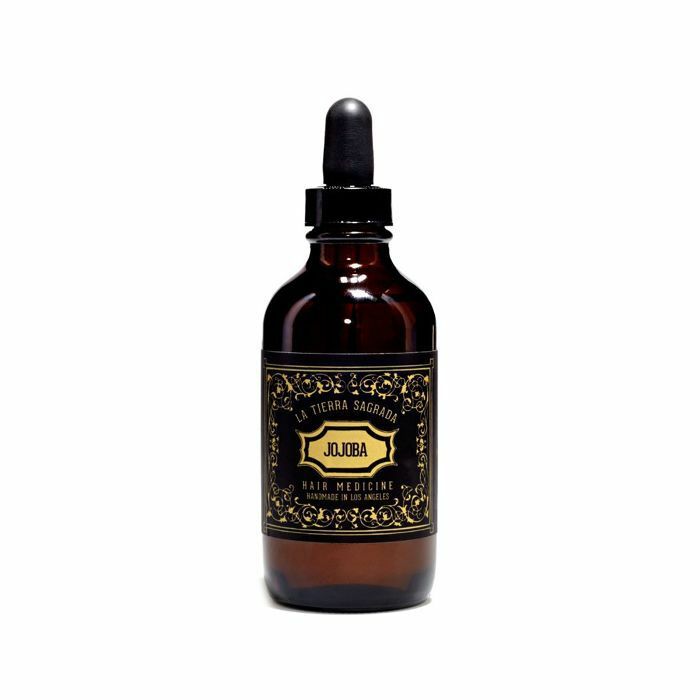 With clear jojoba oil as its hero ingredient, this option is strategically anchored by other heavy hitters like vitamin E, ayahuasca vine sacred plant essence (which apparently has both medicinal and strengthening properties), and the mind- and spirit-lifting likes of lavender, rosemary, and the aforementioned notes of palo santo. My be-all and end-all, this lightweight and zippy hair oil was my first new venture after having cleaned out my golden-hued stash of hair oils. And while I've tried plenty since, this one will always be my favorite. 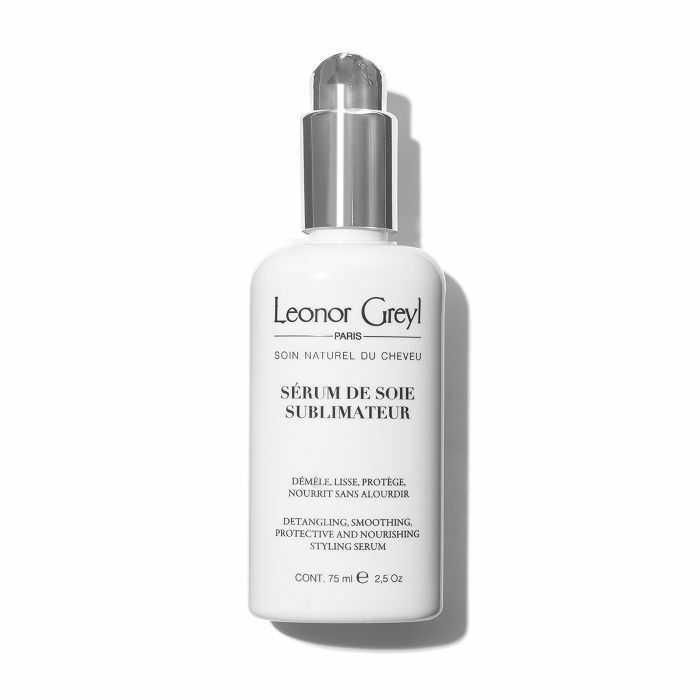 Not only is it an ultra-light formulation (a must for fine textures), but it's also composed of hair-healthy ingredients like moringa seed oil (to detangle and smooth), bamboo extract (to strengthen and hydrate), vitamin F (to revive and fortify), and hydrolyzed soy protein (to keep moisture levels intact). Honestly, just about anything with French origins gets the Byrdie stamp of approval, but according to Deven (who has the lightest strands in the Byrdie lot), this serum has a certain je ne sais quoi that puts it ahead of the pack. Although it's technically a serum, thanks to its "vegetal" and Karanja oil base (and Deven's high praise), we're going to go ahead and call it one of the best hair oils for blondes. Nourishing and formulated to counteract disturbances like heat and sun damage, lightened strands are left soft and satiny post-application. 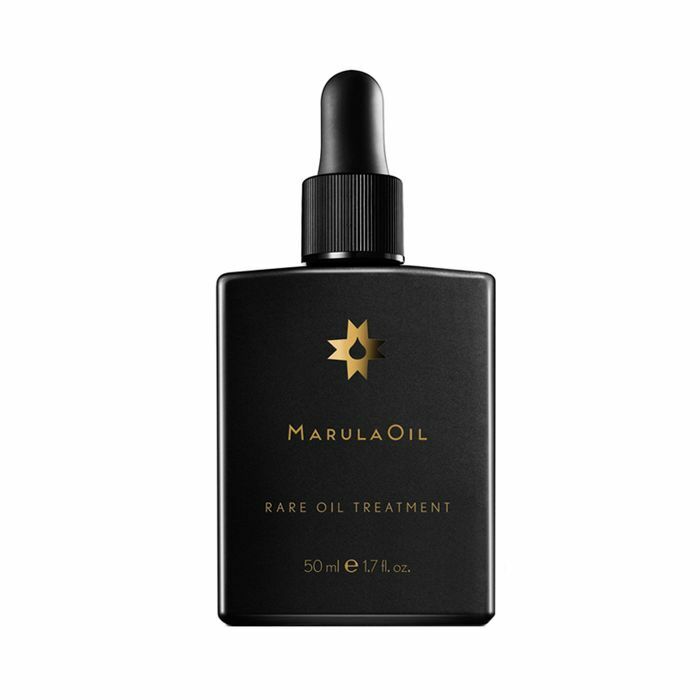 I was introduced to this cold-pressed marula oil a month or so ago when I went to get my color done by celebrity hairstylist Tabitha Dueñas. 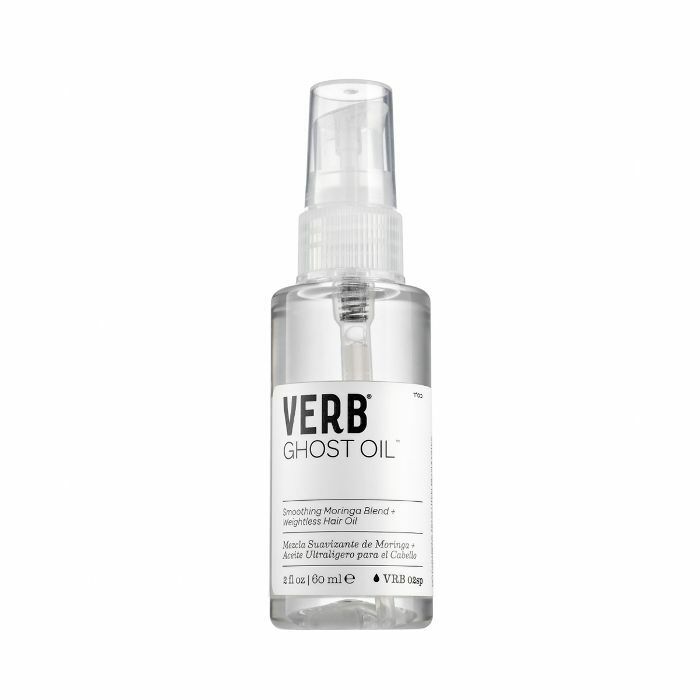 Singing its praises, as it's naturally packed with antioxidants and transformative oleic acids, she used the oil on my damp hair pre-blowout and I couldn't believe how soft and velvety smooth my hair felt afterward (which is saying a lot after a bleach job). Suffice to say, I've had a bottle in my possession ever since, and it's now a regular in my hair oil rotation. "This one by DpHUE has been my longtime favorite," says Deven. "And while it does have a slightly yellowish tint (like most argan oils), it's never stained." (FYI: She has the most stunning shade of ice-blonde hair, and she would notice if the oil was imparting any kind of unwanted tinge to her strands.) 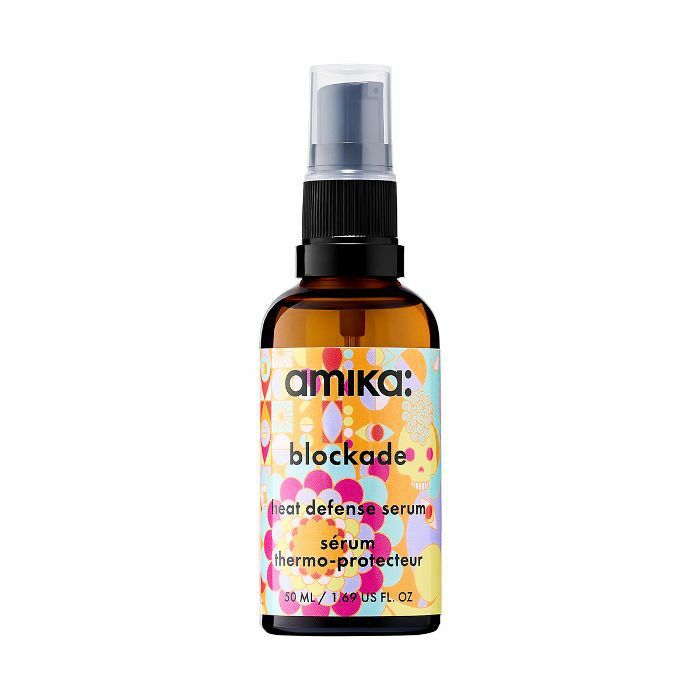 Wonderful for all hair types and textures, it boasts an all-star lineup of hair-improving ingredients like dimethicone, shea butter, and vitamins A and E.
Finally, the newest (and perhaps peppiest) addition to my collection of hair oils, this lovely heat-defensive formula from Amika is another one that's technically considered a serum, but for the sake of efficiency (and it's semi oil-infused recipe), I'm going to call it as such. In fact, I'm so currently smitten that I keep the aesthetically pleasing pick at my desk at all times. (Hey, a shiny midday pick-me-up never hurt anyone, right?) Ingeniously enriched with sea buckthorn oil as its MVP (which naturally boasts more than 190 biologically active compounds like vitamins E, C, A and plenty more), it's one of the best things I've ever used on my hair and smells dreamy to boot. Plus, it never oversaturates or weighs down my thin strands.